Truth by Kbaig: Are We Ready for Upcoming Water Crisis??? Are We Ready for Upcoming Water Crisis??? 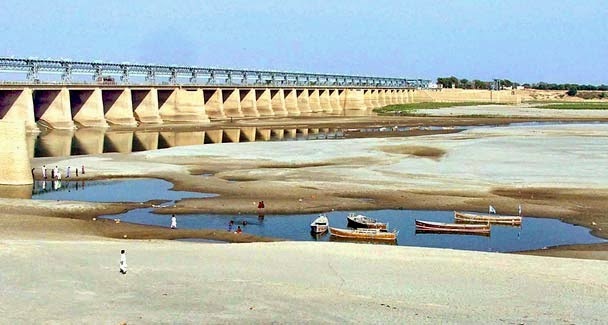 According to a report of Asian Development Bank published in July 2013, Pakistan is the only country in the world advancing towards water crisis. UNO has also included Pakistan in the watch list of WATER SCARCE countries because storage capacity of Pakistani water reservoirs is decreasing due to silt and Pakistan is not constructing new water reservoirs. Pakistan having a big population should have water reserves of at least 1000 days in case of any emergency but we have only capacity to store water for 30 days. Such limited storage might result in any big human tragedy. Are we Pakistanis ready to face any such water crisis? The report of Asian Development Bank says that Pakistan is facing shortage of electricity from last few years, the duration of load-shedding or power cuts reaches 16 to 18 hours per day in summers because govt. is not ready to take any practical steps to increase water storage capacity despite of the public protests. What will be the situation in next 15 years; it is not unimaginable when country’s population would increase from 180 million to 256 million. According to an international survey the underground water was 5600 cubic meters in 1947 which has been decreased to 1000 cubic meters only. In 2030, this will decrease to 500 cubic meters only, which would be insufficient to fulfill the requirement of 256 million population and become a reason of some big crisis or war. In Pakistan especially in Punjab the reason for decreasing underground water level is presence of 1.3 million tube-wells pumping out water for agricultural purposes. 45% of Pakistan’s population is attached with agriculture which is backbone of Pakistani economy. Despite of such grave importance of agriculture sector govt. has not taken any practical steps besides issuing statements to construct new dams or water storage and even now govt. is installing projects to produce electricity from all other means except hydropower. Moreover, is present in the country to guide public to stop wasting underground water. The extent of irresponsibility is that people use govt. water pumped out of depth (for drinking) to water their lawns while contaminated water pumped out by household water pumps from shallow depth is used for drinking and cooking. Water taps are kept running without any need. Second reason behind water shortage is the aggressive plans of India to utilize water as a weapon of war to pressurize Pakistan to succumb to Indian supremacy; which is very fatal for Pakistan’s integrity. In 2007, a discussion as started in Indian Intellectual and journalist circles in which moderate or liberal Indians had criticized the demand of extremist Hindu parties that Indian should take control of rivers flowing from Indian held Kashmir to Pakistan in order to utilize water of these rivers as a weapon against Pakistan. Those who were against this doctrine were of the view that in this way water dispute between both countries would erupt into war between two nuclear powers pushing whole region towards destruction. Indian policy makers were working on this plan since long and only purpose of this discussion was to pave way for practically implementing this plan. Indian govt. and opposition parties all were unified on the plan to utilize water bomb against Pakistan. 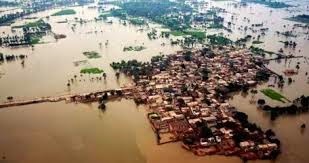 India has tested her water weapon practically in the monsoon season of July 2010, when she released water without any warning in which more than 2 million people were affected while 2000 innocent people lost their lives, destroying crops and cattle costing in trillions. In this regard the report by Lydia Polgreen and Sabrina Tavernise published in New York Times on 20th July 2010 is of much importance. In this report, authors have tried to prove that blaming India for floods is a routine matter for Pakistani religious parties especially the statement by Hafiz Saeed of Jamaat ud Dawat otherwise India has nothing to do with it. In September 2014, in the way India released water simultaneously in Chenab, Ravi and Indus river without any warning and the devastation caused by Indian generated flood was so severe that not only Punjab govt. but Federal govt. had to blame India for floods in Pakistan. I agree with the question raised by New York Times’ report of 20th July 2010, that if Pakistan is not ready to construct new dams and willing to waste precious river water into sea then why blame India. But this question also remains unanswered that which is power is behind creating hurdles in construction of dams and water reservoirs by funding few sub-nationalist parties?